An association of circus operators in Spain has tried to shift the blame to animal-rights activists for Monday’s death of an elephant and the injury of four others in a traffic accident on the A-30 highway near Albacete as the animals belonging to Circo Gottani were being transported in a large trailer truck. One elephant was killed and four others injured when the trailer carrying five elephants ran off the highway and overturned after the driver attempted to pass a slower transport vehicle in the right-hand lane. Animal rights activists immediately took to social media to denounce the elephant’s death and injuries sustained by four others, which they said would not have happened were circuses in Spain prohibited from keeping elephants and other wild animals in captivity for use in circus acts. The elephants owned by Circo Gottani are part of one of its biggest attractions, in which the acrobatic Gärtner family performs quadruple somersaults and other acrobatic stunts while riding on the back of the elephants. 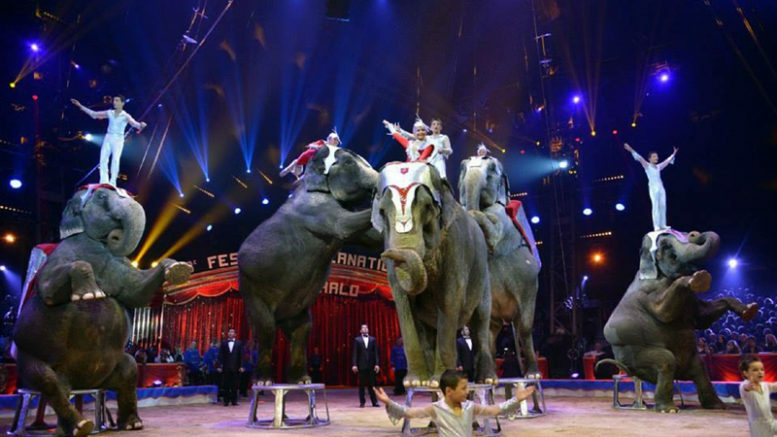 A spokesman for Asociación Circos Reunidos, an organization of circus owners and operators in Spain, immediately countered, however, suggesting that the accident may have occurred as a result of “sabotage” by animal rights activists. In making that allegation, qssociation spokesperson Ignacio Pedrera provided no evidence. According to Spain’s Dirección General de Tráfico, the accident was clearly due to the the trailer driver’s attempt to pass the slower-moving vehicle. In January, Circo Gottani complained of several of its posters being torn down and burnt prior to performances near Madrid and of social media attacks by animal rights activists over its use of wild animals in its acts. Some 300 towns and cities across Spain have voted to ban the use of animals in circus performances within their jurisdictions.